An elegant coffee and occasional table collection to compliment the soft seating. The range features a lacquered oak veneer top as standard combined with black powder coated steel tub frame in either a round or flat sided oval shape. Other options include laminate and birch plywood tops in an array of colours. Meela tables are also available in lower height versions with larger diameter tops. Combining solid Oak and Birch plywood materials with the retro style design makes this an eye catching option. Chip table can also be supplied With alternative shaped tops in a variety of sizes and finishes. A very modern occasional table available in two different sizes. Featuring black MDF and scratch resistant black Fenix finish combined with solid ash legs give this range a unique design aesthetic whilst maintaining or dedication to high quality made furniture. 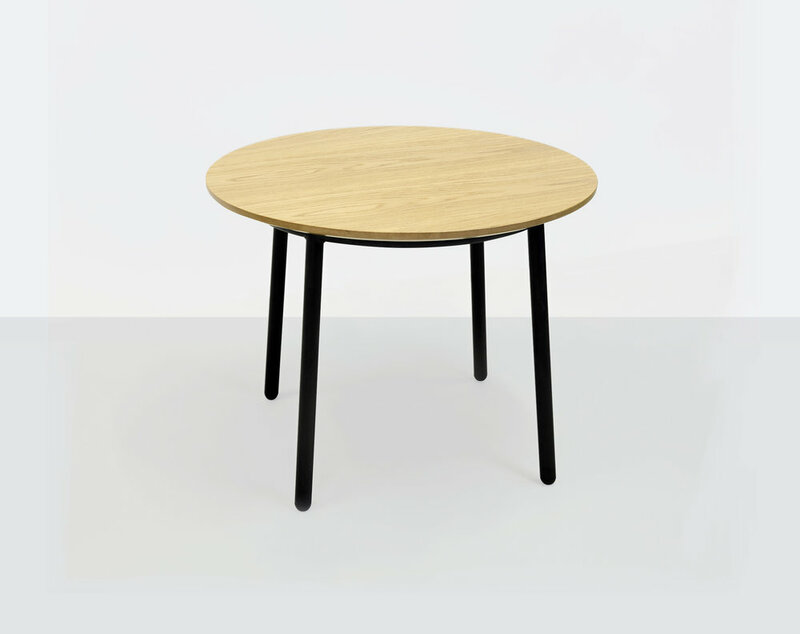 Volar table is our latest range of Meeting tables. Featuring superior matt black finishes and a Scandinavian style this is a sophisticated solution for meeting spaces. 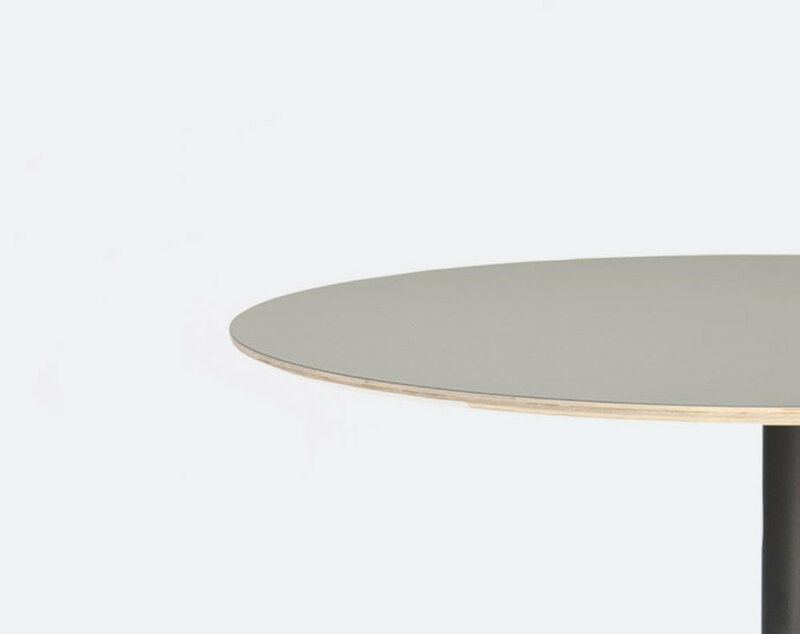 Volar table can be made in both a 1200mm & 800mm top mounted on a 4 star base. Smarti Table is a complimentary range of occasional tables to combine with both the Smarti stool the 103 range. Featuring melamine and birch plywood tops and polished chrome frames. The Arc suite is Thomas Montgomery’s new concept of reception furniture simple in form using supple hides with high quality cushioning and polished chrome fittings combine to give an appealing range of seating that is suited to the many applications of waiting and reception areas. Also suited to office breakout areas.